Manufactured from heavy gauge steel and is at the top end of our range with a weight capacity of 1000kg (evenly distributed). Fitted with adjustable feet to ensure work surface is level, even if your floor is not. 40mm Thick laminate worktop is edged with double thick trim. 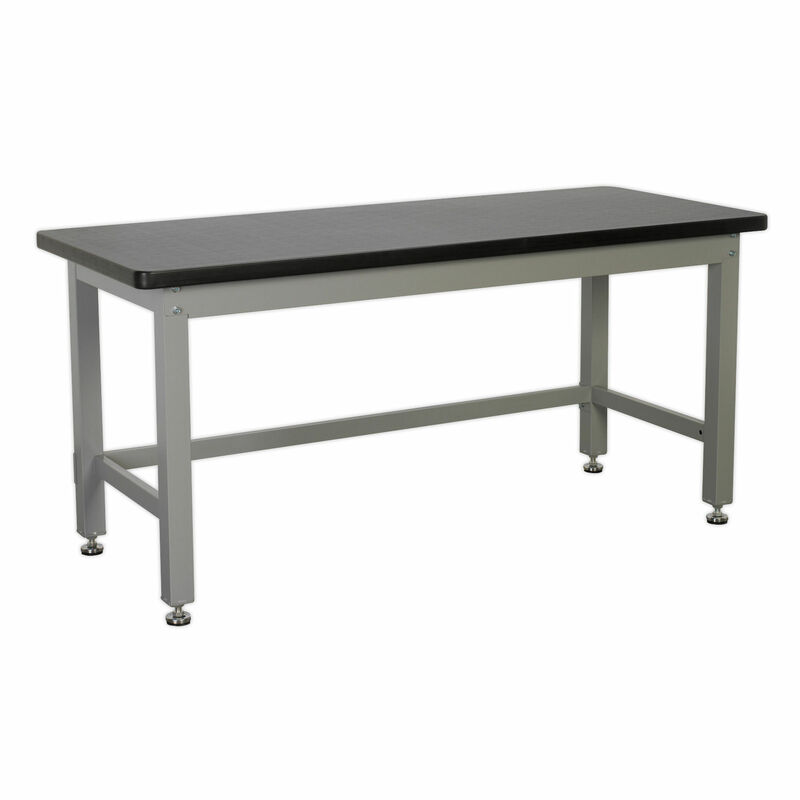 Optional drawer units, vice support or back panels easily attach converting the workbench into a workstation.